Whether you’re looking to add a new kitchen or dining room, or renovate your whole house, adding extra space with an extension is often top of the list for homeowners. 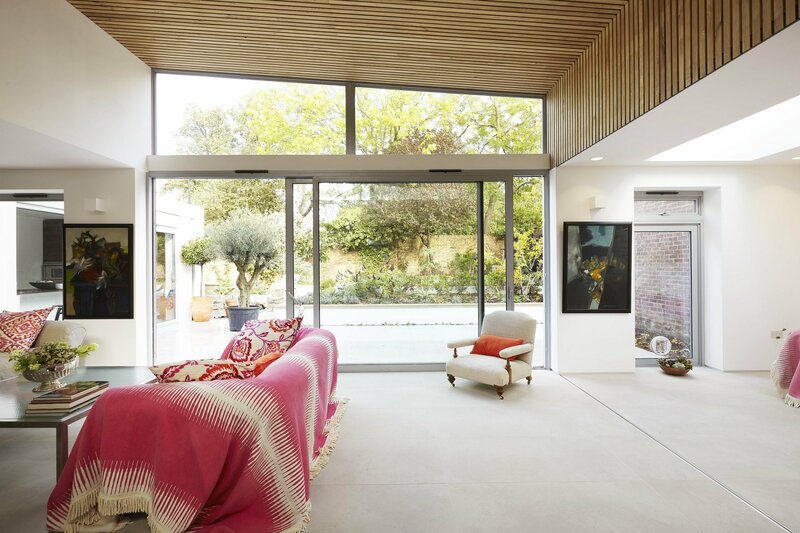 There are lots of things you need to consider when refurbishing your home, including what you hope to gain from your project, what products to use, what planning permission you may need and who you should work with. This blog acts a guide to these things, so if you’re planning a home renovation in or around Brighton, keep reading. Why are you refurbishing your home? One of the most important, yet often overlooked, things to consider is why you’re actually interested in refurbishing your home. What is it you’re looking to achieve? Whatever your reasons, this should always be in the back of your mind when you’re making each decision. The reason why you’re looking to refurbish your home will directly influence what designs and products you use in your new space. 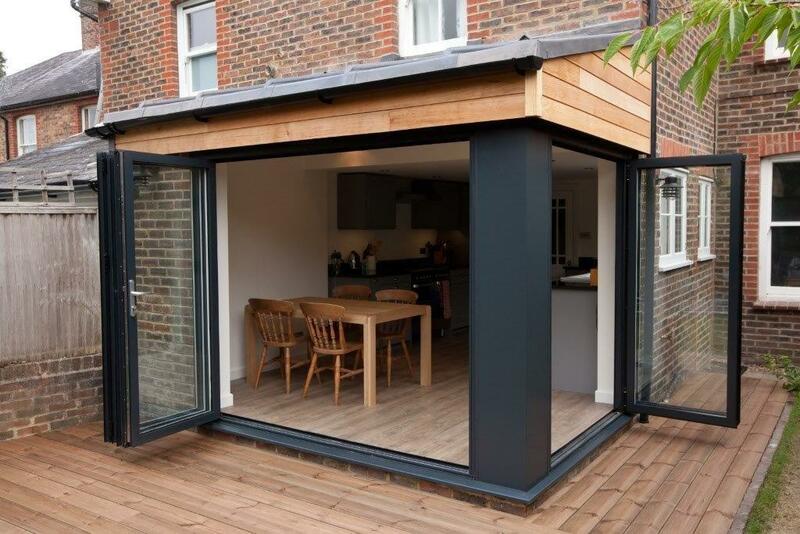 A lot of the renovations in Brighton that we work on choose architectural glazing such as widespan aluminium doors and rooflights. aïr bi-fold doors and aïr lift & slide doors are the top choices for renovations and refurbishments when creating large social spaces. aïr bi-fold doors are made with slimline aluminium frames and large glass panels, and each pane can be made up to 1200mm wide and 3000mm tall, with a maximum of 10 panes. As they open completely in a concertina style, this leaves you with an impressively wide opening, blending your home and garden and giving you extra space. While aluminium bi-fold doors add heaps of light, aïr lift & slide doors fill spaces with boundless amounts of natural daylight. This is because they can be made up to 2500mm wide by 2700mm tall with a maximum of 6 panes and offer uninterrupted walls of glass, giving you panoramic views. 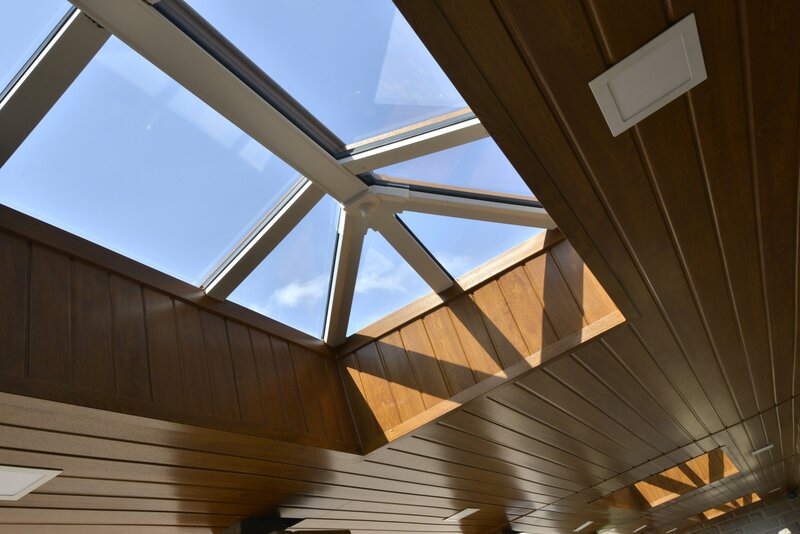 Rooflights a popular choice for flat roof extensions as they are fitted on the roof, allowing the sunlight to beam directly down into the room. 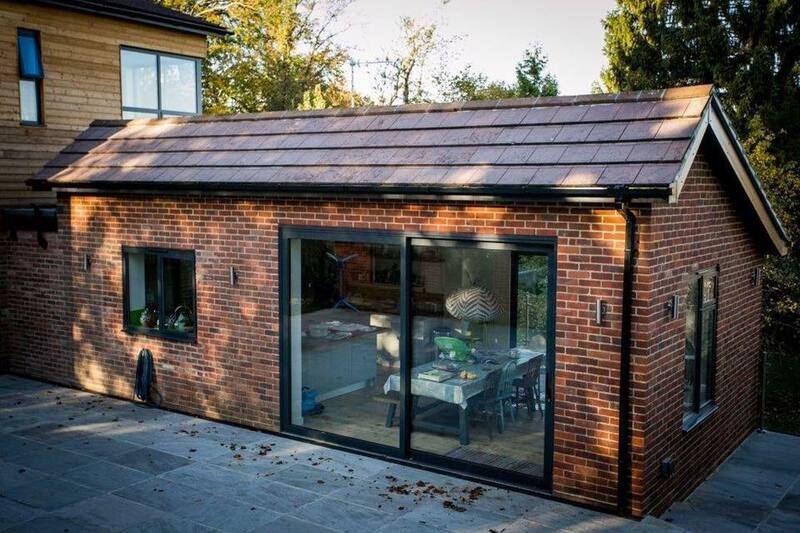 With the smallest of our Skypod rooflights at 750mm by 750mm to the largest at 2750mm by 8700mm, you can choose the perfect amount of daylight depending on the size of your extension. Choosing a combination of architectural aluminium glazing gives you a stunning glazed area, with each component working together for the ultimate, cutting-edge style. You can colour match our selection of architectural glazing, as our aluminium widespan doors are available in any RAL colour, and our rooflights are available in Anthracite Grey, Moondust Grey, White, Rosewood and Golden Oak. 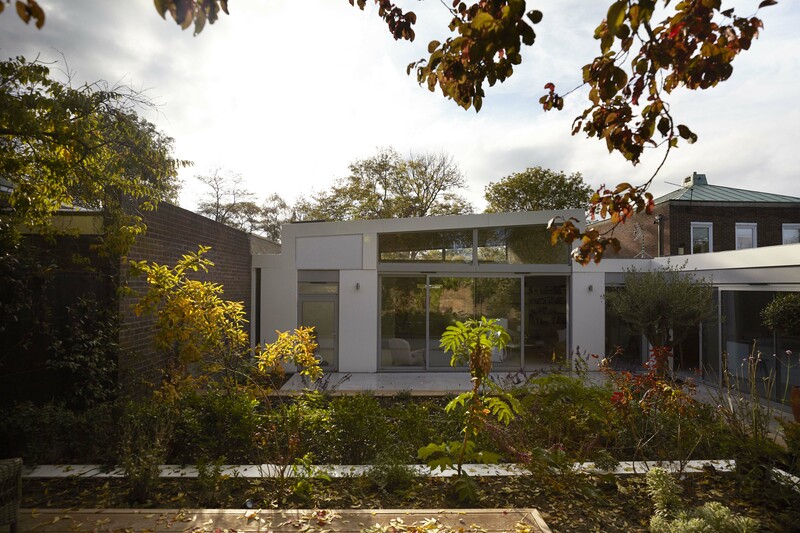 If your renovation involves extending your home, you may need planning permission. It’s always worth checking whether you need planning permission, as some project don’t require it and need permitted development instead. You can visit planningportal.co.uk for more information on everything else that needs planning permission – or just ask us. Choosing the right companies to help you achieve your dream renovation takes a lot of thought and careful consideration. You should choose an installation company who has been transforming homes for a long time, gaining experience and a solid reputation. They should also have a wide product range, and a showroom where you can go in and see the glazed products in a setting where you can imagine them in your home. You should also be able to go to your installation company with your plans and get their advice and guidance on what would work best for you. Here at Bowalker Doors, we tick all the boxes. Our founders, Pete Walker and Anthony Bowyer have a combined experience of 45 years, and formed Bowalker Doors after nearly a decade of success with Bowalker Windows. You can take a look at our Checkatrade reviews here. 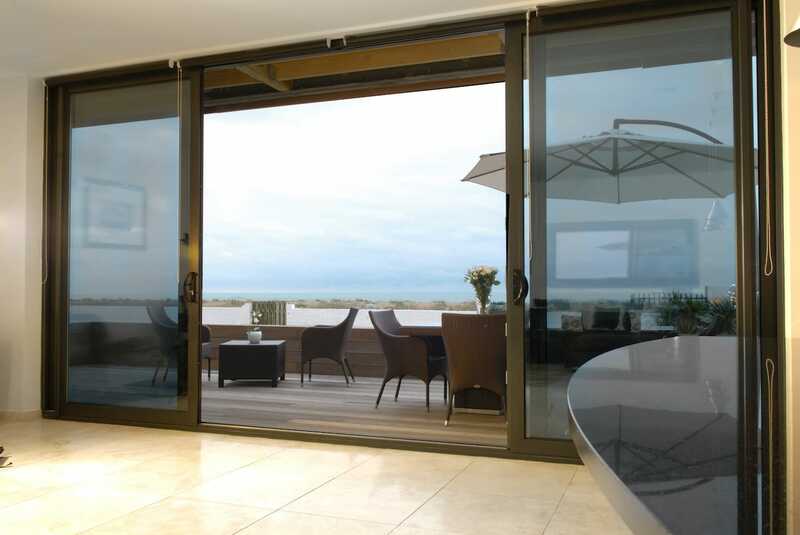 Our product range includes two bi-fold doors – aïr bi-fold doors and Bowalker bi-fold doors – and two sliding doors – aïr lift & slide doors and Bowalker sliding patio doors. We have Skypod rooflights available too, as well as two range of entrance doors to complete your home – Solidor doors and Bowalker composite doors. You can see our stunning product range at our Haywards Heath showroom, as well as talk to our expert team about your project and benefit from our helpful advice. You can even bring your architect along too. To help you make our meeting the best it can be, you can upload your plans to our website here and we will look over them before your appointment and we will be prepared with options and guidance. If you’re planning a home renovation in Brighton, let Bowalker Doors help you. You can call us on 01444 810111 or fill in a contact form here. Alternatively, you can visit our showroom on Bolney Grange Business Park in Haywards Heath where we’re open Monday – Thursday 8am – 5pm, Friday 8am – 4:30pm and Saturday by appointment only. Don’t forget, you can like us on Facebook to see our most recent renovations in Brighton and the surrounding areas. What colour entrance door should I choose? 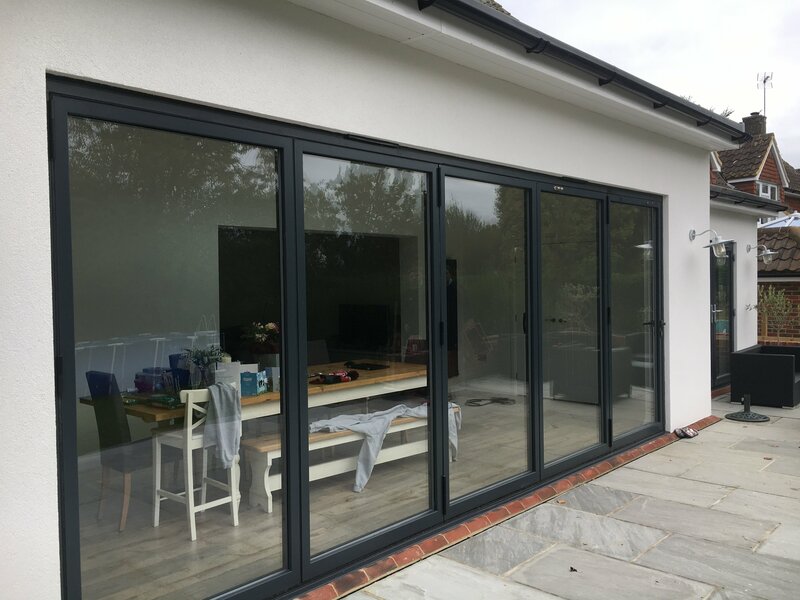 Open up your property like never before with air 800 bi-fold doors and effortlessly connect your home to your garden. Whether you choose a lift and slide door or a sliding patio door, you can glide outside for a taste of outdoor living, and add sleek style to your property. Give your home the entrance it deserves with a state of the art front door that looks stunning and performs even better. You can trust us with your transformation plans as we’re members of Checkatrade, FENSA and the Plastics Window Federation.